With the warmth from the sun, it was almost easy to forget that the temperature didn’t get above 30° for Callie and Weber’s session atop Sapphire Point Overlook. 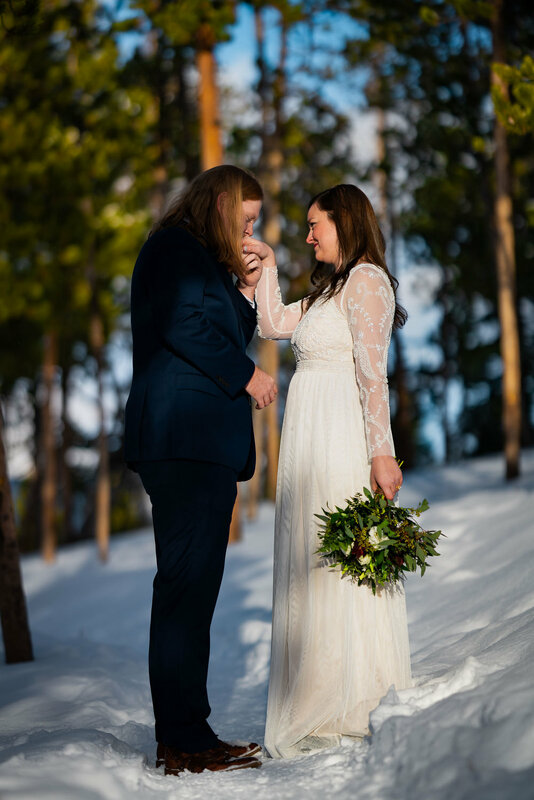 But, that didn’t stop the newlyweds from enjoying this winter wonderland, because you know when the bride shows up to the shoot wearing snow boots, she’s ready to make things happen! 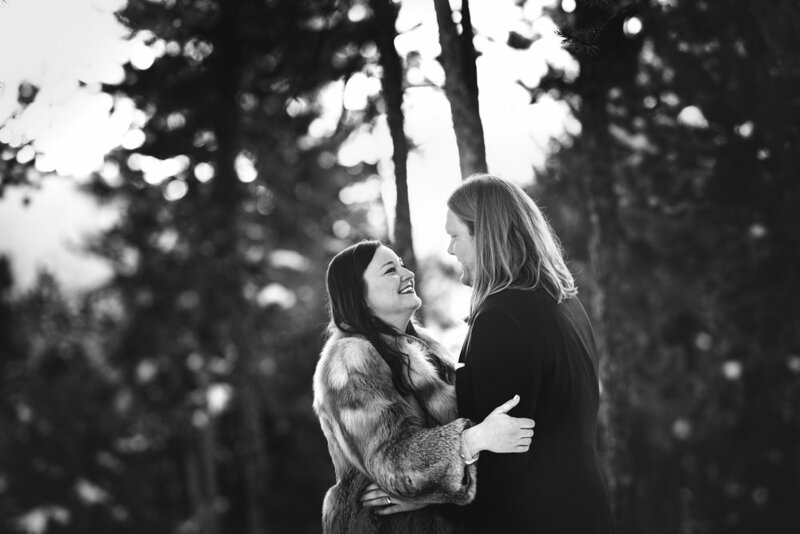 After flying to Denver from Dallas to sign their marriage license at the courthouse, Callie and Weber came up to the mountains to enjoy life at 9,600 ft. Trekking through fresh snow and chasing the light as it shined through the clouds and set over the Rockies was the perfect way to celebrate the start of this couple’s journey into married life. Congratulations you two and cheers to many happy years!